Continue reading "Teaching the Irish Hand; gáir peinn do dromaib duillenn ‘the scratch of the pen on the surface of pages’"
Continue reading "The Science of Medieval Pigments: Teaching the Materials Analysis of Manuscripts in the Undergraduate Classroom"
Continue reading "An Online Module for Teaching Manuscript Transcription with Blackboard Learn"
Continue reading "Can I have your autograph? 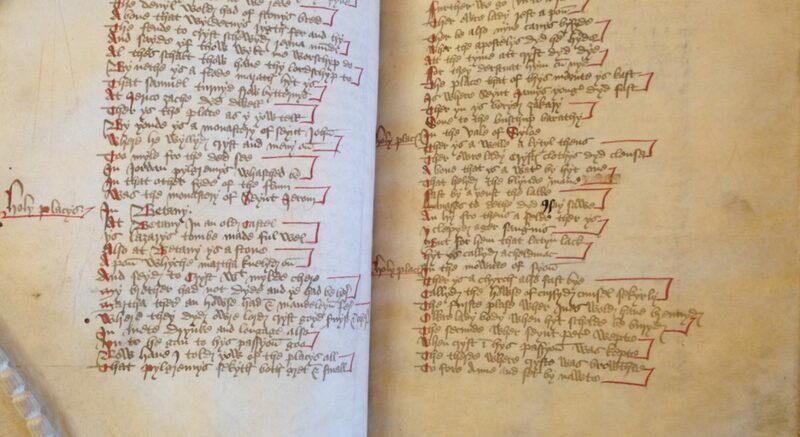 Martin Luther’s Sprichwortersammlung (Oxford, Bodleian Library MS Add. A. 92)"